New building, new name but same great service & friendly faces! Shelly and Danny Gilbert have been the proud owners of Chestermere’s only Tae Kwon Do school for the past eight years. They offer classes on a full-time basis, year round, and have classes designed to meet the specific needs of students from 2 1/2 years to adults of all ages. Their Instructors are trained to help students of all physical levels to become their best by assisting them in improving their fitness, self-confidence, learn self-defence and reach their Black Belt goal. But now, the school that has always been located at 300 Merganser Drive, is now changing its location and name. “We wanted to change our name to encompass more of what we do. When we first bought the school, we only taught Tae Kwon Do, but now as we’ve expanded our classes, a name change was needed”. The school will move into its new space, located at Bay 207 – 100 Rainbow Road, the beginning of July and will also premiere its new name, CTC Martial Arts & Fitness Centre. Moving from their current space of 2500 sq.ft. into their new space of just over 4100 sq. ft., not only gives the school the ability to better execute the classes they currently offer, but will also bring a wide variety of other classes and services to the community. The new space is complete with a kitchen to proper facility birthday parties that the school enjoys hosting, a beautiful open reception area with proshop, a parent waiting room equipped with TV’s that will stream the class so that they can watch their children’s lessons, open upstairs offices, two change rooms and a massive 2000 sq. ft. training room. The school will be bringing in some new programming in the fall. Boot camp style classes, personal training and also a UFC style fight club are just to name a few. 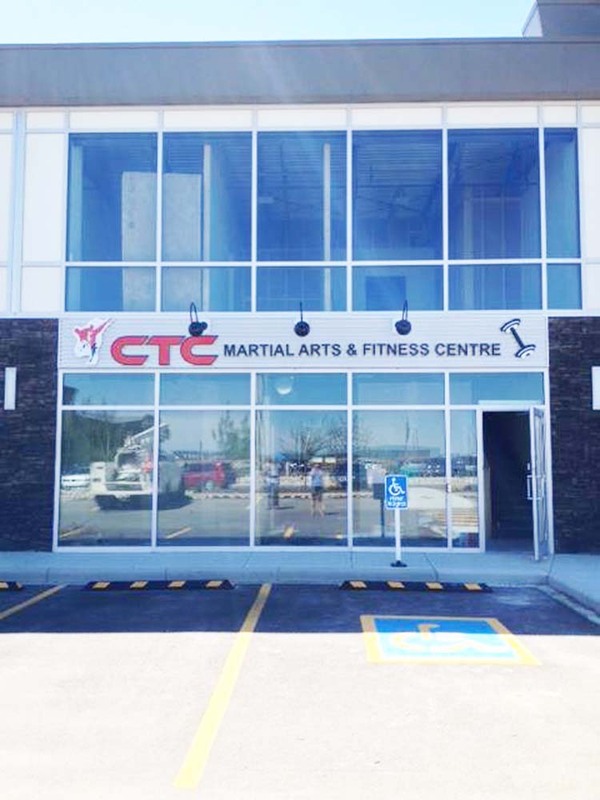 CTC Martial Arts & Fitness Centre will be planning a grand opening at their new location in September. For more information, please visit www.canadiantkdcollege.ca/ or give them a call at (403) 277-3420.